This Jeep Wrangler Unlimited boasts a Regular Unleaded V-6 3.6 L/220 engine powering this Automatic transmission. WHEELS: 18" X 7.5" POLISHED W/GREY SPOKES (STD), UCONNECT 4C NAV & SOUND GROUP -inc: SiriusXM Travel Link, Radio: Uconnect 4C Nav w/8.4" Display, 5-Yr SiriusXM Traffic Subscription, 4G LTE Wi-Fi Hot Spot, 1-YR SiriusXM Guardian Subscription, HD Radio, SiriusXM Traffic, Alpine Premium Audio System, For Details, Visit DriveUconnect.ca, GPS Navigation, Auto-Dimming Rearview Mirror, 8.4" Touchscreen, Roadside Assistance/Emergency Call, TRANSMISSION: 8-SPEED AUTOMATIC -inc: Dana M200 Rear Axle, Hill Descent Control, Tip Start. 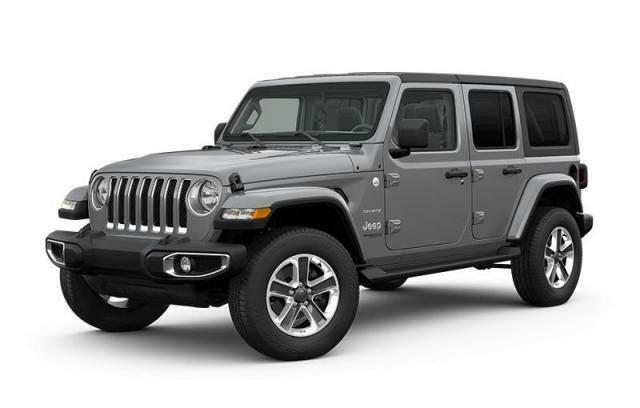 QUICK ORDER PACKAGE 24G -inc: Engine: 3.6L Pentastar VVT V6 w/ESS, Transmission: 8-Speed Automatic , TIRES: 255/70R18 ALL TERRAIN, STING-GREY, REMOTE START SYSTEM, RADIO: UCONNECT 4C NAV W/8.4" DISPLAY, LED LIGHTING GROUP -inc: LED Taillamps, LED Fog Lamps, LED Reflector Headlamps, Daytime Running Lamps w/LED Accents, ENGINE: 3.6L PENTASTAR VVT V6 W/ESS (STD), COLD WEATHER GROUP -inc: Front Heated Seats, Heated Steering Wheel, BLACK/BLACK, CLOTH BUCKET SEATS, ALPINE PREMIUM AUDIO SYSTEM. Test drive this must-see, must-drive, must-own beauty today at Village Chrysler Dodge Jeep Ram Fiat, 201 Bayly Street West, Ajax, ON L1S3K3.